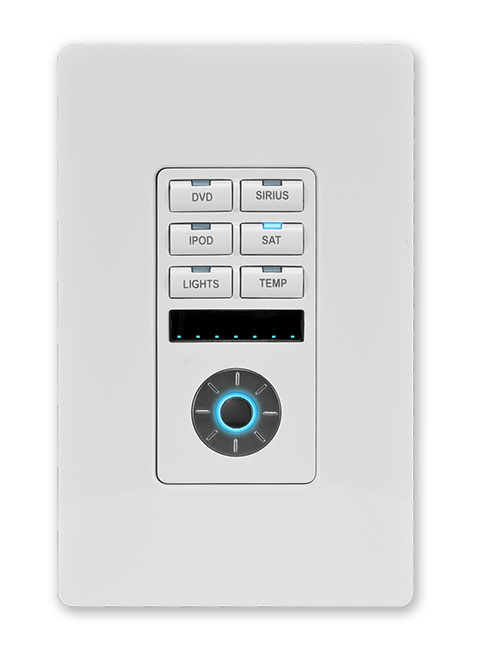 The MET-6N Metreau 6-Button AxLink Keypad with Navigation features source control, a navigation wheel that adjusts levels and provides up, down, left, right and select button options, as well as an LED bar for visual level feedback. 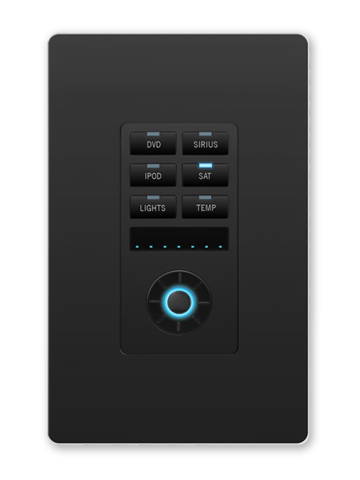 The MET-6N can be used as an individual keypad or with the MET-7 and MET-13 keypads. 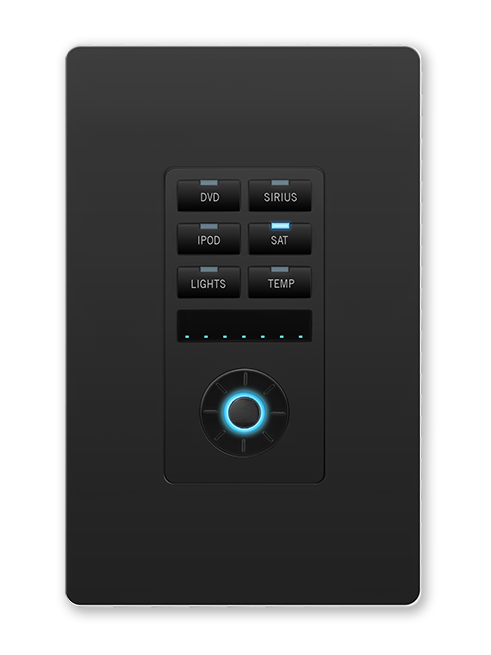 This keypad offers cost-effective control for bedrooms, meeting rooms, hotels and applications requiring control of up to 6 devices. Front Panel Components 6 tactile pushbuttons with blue LED indicators, IR Sensor, LED Levels Indicator, Navigation Wheel. See Data Sheet for details.